If you’re a business owner or a CMO, you know how hectic work days can get. Back-to-back meetings, ensuring your team is on track to meet their goals for the quarter, double checking your new Facebook campaign (that’s going live in the next 20 minutes), and the list goes on. 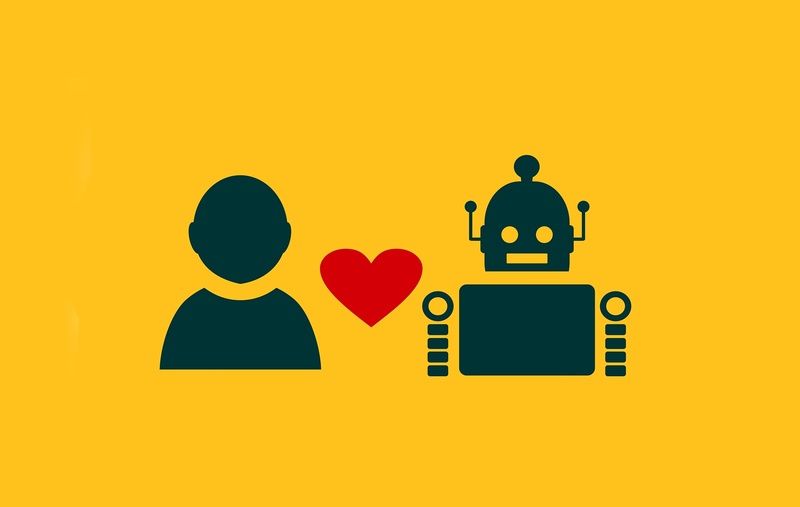 So, Let’s Start Off With the Basics: What is Marketing Automation, Anyway? Chances are you’ve heard the term marketing automation before but perhaps you haven’t really dug into what it actually means -- and that’s ok! Marketing automation, put simply, refers to software that exists with the goal of executing marketing actions (i.e publishing social media posts, sending out emails, and so on) without any manual effort. This software, when used correctly, nurtures prospects with helpful (and personalized) content that is meant to convert them into loyal customers. Wow. So, Are Companies Finding Success with Marketing Automation? 91% of the most successful users agree marketing automation is “very important” to the overall success of their marketing. Let’s go over some of the benefits so you’ll see why marketing automation is important for marketers and business owners. More than that, all-in-one marketing automation tools such as HubSpot, will save you time jumping from platform to platform. When you’re constantly flipping between tabs just to get a campaign in motion, you waste a lot more time than you’d think. First off, I want to point something out - CRM software and marketing automation software are not the same thing. I’ve heard some people use the terms interchangeably, but they are definitely different. CRM (Customer Relationship Management) software is more contact-focused and usually used more by sales. This type of a system saves contact information such as names, addresses, phone numbers, and often behavior or conversations they’ve had with you. Marketing automation software, on the other hand, is, well, marketing-focused. In addition to saving crucial contact information, it also sheds light on where your contacts are in the marketing funnel, what resources they’ve downloaded, what web pages they’ve interacted with, and most importantly, enables you to set-up processes that will automatically perform crucial tasks for you based on these interactions. While great on their own, CRM and marketing automation software are even more valuable when combined. When you use a marketing automation tool with a CRM integration, you’ll have the benefit of seeing your contact’s sales and marketing activities all in one place. This gives you a much fuller picture of a person’s relationship with your brand and makes it easier to align your outreach with it. For example, marketing automation integrated with your CRM can be utilized to send targeted emails directly to the contacts that are already in your system. Without this integration, you would have to manually upload all of your contacts from your CRM database, which wastes money and time, while running the risk of user error. If someone accidentally mistypes an email address, that contact won’t receive your email communication and you may miss out on a sale! When figuring out how to increase ROI and ensure the success of your business, you need to have direct access to your critical marketing KPIs. However, if you use 2-3 separate tools, it’s likely you spend an unnecessary amount of time switching between platforms and find it much harder to tie your metrics directly to your campaign. A marketing automation like HubSpot allows you to tag all of your marketing activities with the campaign they’re associated with and also see comprehensive analytics of your traffic, conversion rates, clicks, etc. all in one place. Robust, multi-functional tools like this give you a big picture of your data and how everything works together, rather than forcing you to jump from platform to platform. Believe me, it’s a lifesaver. Even more, you can access reports and look at how everything is performing in real-time. When using one tool, specifically designed to track how your marketing efforts are affecting your sales, you get the visibility you need to pivot your strategy immediately. Red flags (and general poor performance) won’t come as a surprise. With a marketing automation tool, you can rest easy knowing that your online audience will receive the same, and consistent, experience based on their actions. When a user subscribes to your blog, for example, you can set up a workflow that automatically sends a welcome email suggesting articles and perhaps sharing a follow-up offer. Depending on your blog setup, you can then also have your new articles automatically sent to subscribers as their published. With marketing automation, this is all done on its own; no need to worry about manually sending out emails to your database. This ensures that no matter when a user jumps into a workflow, they’ll always get optimized messaging. So, get this - Personalized emails deliver 6X higher transaction rates, but 70% of brands fail to use them. Fortunately, a great marketing automation tool makes personalizing content to your personas easy-peasy. For example, in a lot of automation software like HubSpot, you can add personalization tokens (such as the recipient's name) into an email blast. Incorporating elements like these make your emails appear more personal; as if they were sent specifically to them rather than to a large list. When a contact receives an email that looks as though it was personalized for them, they’ll be more likely to open it and engage. I think it’s safe to say we’d all go for the latter! With marketing automation, these personalized workflows are easy to set up and deliver incredible results. It’s all about reaching the right person at the right time with the right message. It’s about customizing your content to meet your personas needs and/or provide the solutions they’re looking for when they need them. B2B marketers also see an average 20% increase in sales opportunities from nurtured leads versus non-nurtured leads after successfully deploying a lead nurturing program. Marketing automation makes this a way of life. Marketing automation lets you create a more systematic approach to marketing that you can track and monitor. When you use an all-in-one tool, such as HubSpot, you get full visibility into your efforts as a whole and, even more, how your efforts are paying off. It allows you to easily attract new users, convert them into leads, and nurture them through the sales funnel. There aren’t any surprises along the way or contacts being lost without you realizing it. With automation, business owners and CMOs are finding they can take their marketing to a more data-driven and scalable approach. So why wouldn’t you invest in marketing automation? Like anything, you need to make sure that you, and your marketing team, are “all-in” when it comes to moving your operations to a marketing automation tool. The last thing you want to do is invest and then only use 30% of its features, or worse 0%. What are your goals? What the marketing activities you perform currently? Are there any you want to start to do in the future? All of these are things you should keep in mind when choosing an automation software. Some of the biggest players in the game right now are HubSpot, Marketo, and Pardot, but there are lots of other smaller options as well, the newest being MailChimp. Known for its email services, MailChimp just announced that it's going to offer free marketing automation features for all of its users. The company has been around for the past 16 years and has over 15 million users around the world, but it’s just now getting into marketing automation as AI, bots, and automation are becoming the new norm. Out of the huge catalog of options, HubSpot is the personal favorite of IMPACT. It’s an all-in-one marketing automation tool with a full CRM we’ve found works extremely well, no matter if you’re B2B or B2C, selling products or services, or if you’ve got a big or small business. The breadth of this tool allows us to get the results our clients are looking for. In fact, we wrote a blog post of all of the common consideration points when choosing a marketing automation software and honestly evaluated the pros and cons of HubSpot in each of them. As a Diamond Partner Agency, we love HubSpot (and hope you do too!) but if not, find what works best for your needs! Many of the marketing automation tools I mentioned above offer a free trial and believe me, you’ll want to take advantage of it. A free trial will help you get a better understanding of how the tool works and what you can and cannot do before you make an investment. Once you’ve got a free trial set up, integrate anything and everything. Play around. Go crazy. This is the time to see if it’s worth investing in. Even if you don’t have many questions, make sure you make the connection to a representative on their team. Tell them what your goals are and what you’ve done with the tool thus far. They’ll be able to tell you if there’s an important feature you might be missing. You found a marketing automation tool that addresses all of your needs, gives you insight into who/what/where/what message, and will help you generate new leads, and you’re going to wait? This is basically saying you don’t want to make more money. Delaying will only cause you to miss great opportunities to improve your productivity and marketing performance and increase your ROI. It’s no wonder marketing automation companies are increasing their user base and companies who previously didn’t offer automation features are getting into it. I know it’s a bold statement but I believe marketing automation is the future of marketing if you want to be successful. Need help figuring out where to start or have any questions? Comment below!